Outdoor grills are best maintained when they are protected from rainstorms, morning mildew, direct sunshine and other elemental factors. Many people use spare tarp and ties to fashion a grill cover, but frequently that does just the opposite: it traps water inside and ruins the grill. 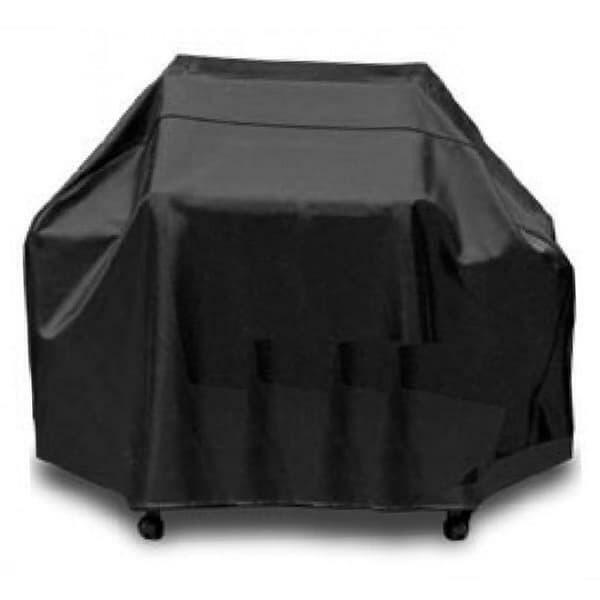 The Medium Universal Grill Cover is made with UV treated Dura Gard Vinyl front and a fleece polypropylene backing. The fleece is compressed into a sheet and laminated directly onto the high quality vinyl. The two layers address both issues of grill protection: a rough outer shell to address external elements and a soft inner shell to protect against scratching and rubbing. Browse the entire collection of PCI furniture and grill covers to find the one that fits your outdoor grill.